"People with a normal weight but a fat belly have more chance of heart problems than people without a fat belly, even if they are obese according to BMI [body mass index]," said study author Dr. Jose Medina-Inojosa. He's with the Mayo Clinic's division of preventive cardiology, in Rochester, Minn. The study included 1,700 people who were aged 45 and older at the time of enrollment and were followed from 2000 to 2016. Those with a normal BMI (an estimate of overall body fat based on height and weight) but high levels of belly fat were about twice as likely to have a heart attack, procedures to open blocked arteries, or to die from heart problems during the follow-up than people without belly fat. The findings were to be presented Friday at a European Society of Cardiology meeting, in Ljubljana, Slovenia. Research presented at meetings is considered preliminary until published in a peer-reviewed journal. 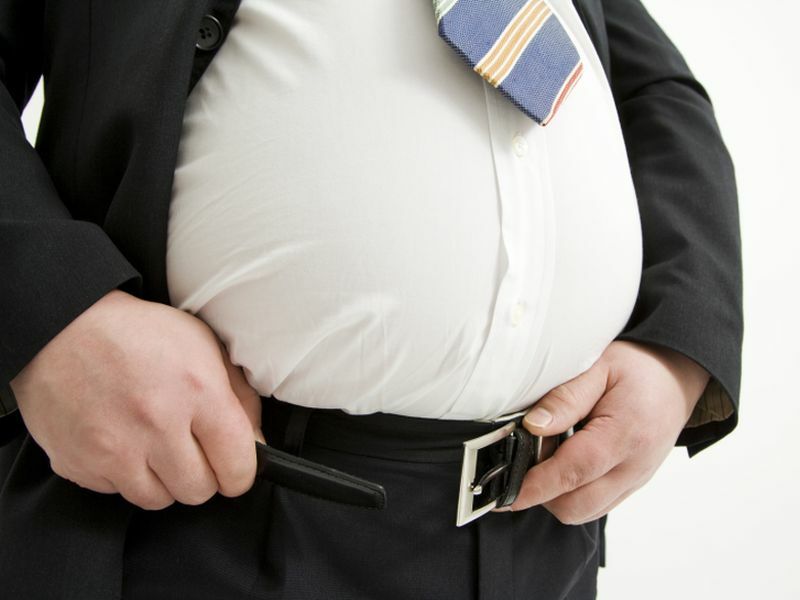 "The belly is usually the first place we deposit fat, so people classified as overweight BMI but without a fat belly probably have more muscle, which is good for health," Medina-Inojosa explained in a meeting news release. "Muscle is like a metabolic storehouse and helps decrease lipid [fat] and sugar levels in the blood. "If you have fat around your belly and it's greater than the size of your hips, visit your doctor to assess your cardiovascular health and fat distribution," he said. "If you have central obesity [belly fat], the target will be waist loss rather than weight loss." Medina-Inojosa offered some belly-busting suggestions. "Exercise more, decrease sedentary time by taking the stairs or getting off the train one stop early and walking, increase your muscle mass with strength and resistance training, and cut out refined carbohydrates," he advised. He added that doctors shouldn't assume that people with a normal BMI are not at risk of heart problems. "Our study provides evidence that doctors should also measure central obesity [belly fat] to get a better picture of whether a patient is at risk," Medina-Inojosa said.